In the ’50s, jeans were a symbol of rebellion; their association with rock ’n’ roll made denim the devil’s fabric. Today, jeans have shed their social stigma and become a ubiquitous wardrobe staple. Still, worn with the right attitude, they can feel rebellious. Or preppy. Or grungy. Or sophisticated. Here, Vancouver’s best jean shops. Always a straight leg ahead of the trends, this all-denim Gastown boutique is the place to go for premium jeans. Last month, owners Darrin Kenigsberg and Eric Dickstein launched the Quintessential Series. 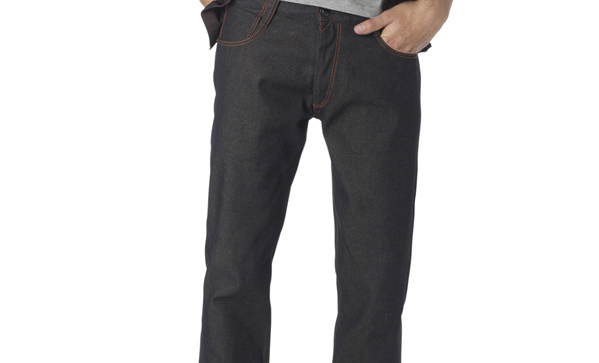 Try their “virgin” (no distressing) slim straight jeans made from small-loom raw denim. 303 West Cordova St., 604-688-8892. This Kits store has been fitting men in jeans since the 1980s, and favours classic names like Ted Baker, Hugo Boss and Ben Sherman (pictured above). You’ll also find the latest cuts from local sustainable designer DRT. 1842 West 1st Ave., 604-731-4343. Whether you’re a relaxed, original or straight-leg kind of guy, you’ll find your fit at Levi’s. This Robson Street flagship is well stocked with well-priced classics and new styles, including Lightweights and Sunfaded styles for the summer. 1068 Robson St., 604-331-9960. Though the name evokes a Madonna-blasting nightclub, this young, trendy shop houses hard-to-find brands like Dom Rebel, Monarchy and Dussault. 1044 Robson St., 604-684-5656; 650 West 41st Ave., 604-266-0388. If you like the pre-loved look, head to this downtown vintage destination. You’ll find bellbottoms from the ’60s, skinny jeans from the ’70s and acid wash from the ’80s. 590 Davie St., 604-872-7665.